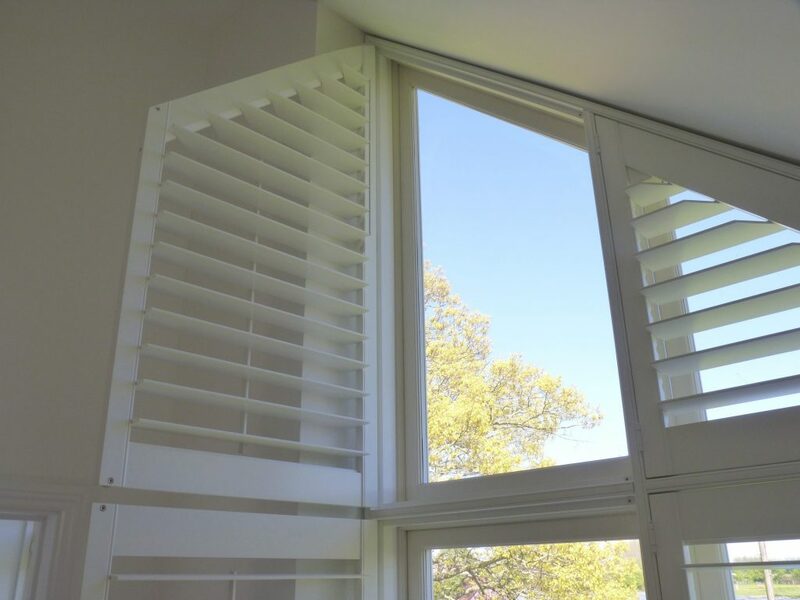 Shaped shutters will fold the same as rectangular ones, but in some cases, the top of a shutter can hit the top recess/wall depending on the style of the window. 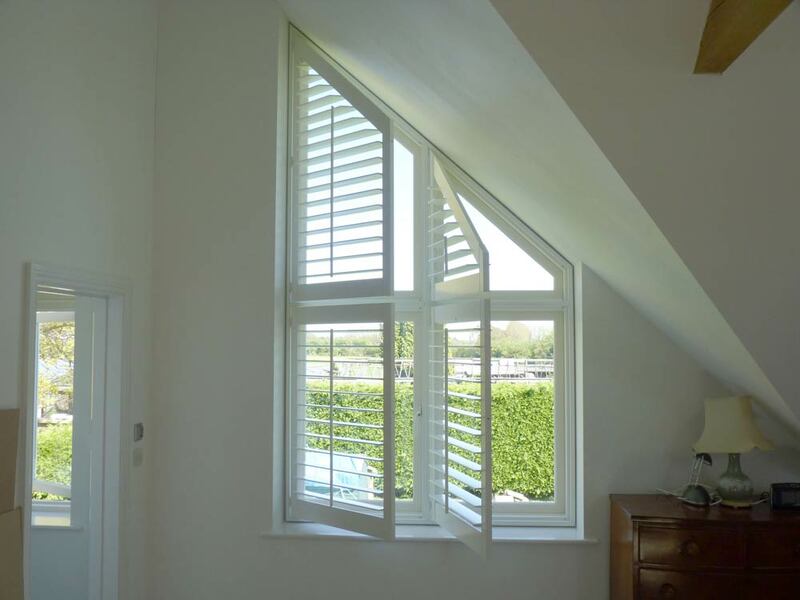 Round window shutters can be hinged left or right, but require a straight section of shutter/frame. For a completely round shutter fit magnets instead of hinges. This allows the shutter to be removed from the frame for cleaning and means there are no straight sections. 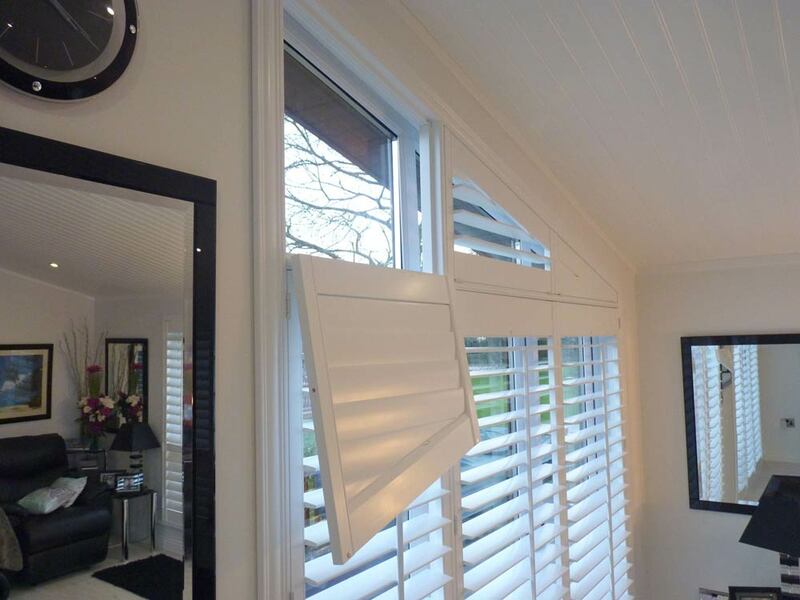 Shaped panels can be hinged on Tposts, this can be an easy way to ensure the shutters still open. Using a centre Tpost allows the shutters to be opened into the middle, usually the highest part of the window. 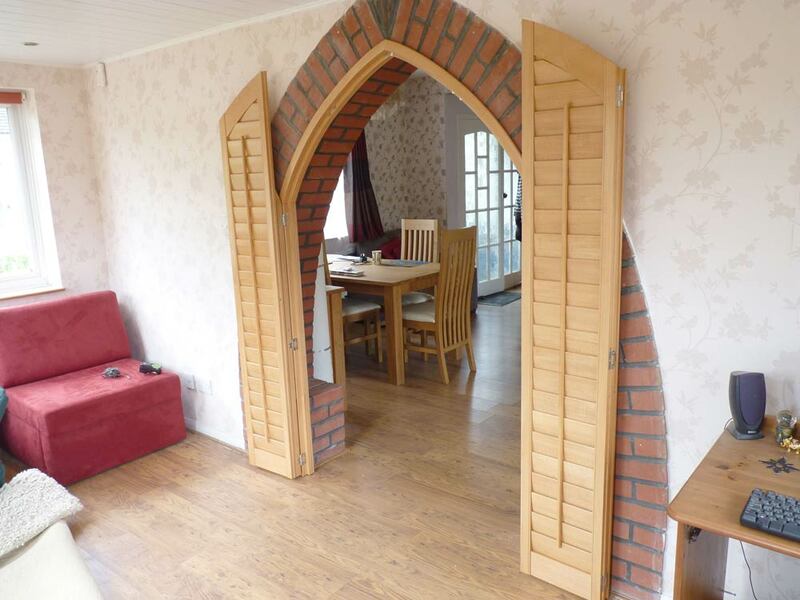 Making templates can be a good way to ensure the shutters will open and miss any obstructions. Cut some cardboard into the shape of the shutter, you can cut it in half if you require bi-folded shutters. 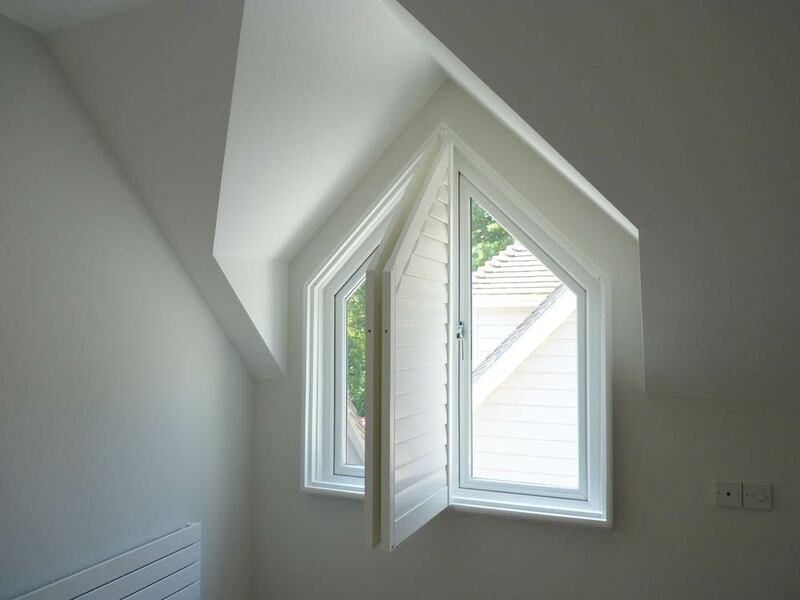 Use the template in the window to check if the shutter will hit the recess. Remember to allow for the thickness of the frame. Try fitting the shutters towards the front of the recess, this might allow the shutters to wrap around the wall. Triangular shaped panels may need to fold into the centre of the window to allow them to open, depending upon the shape of the room. 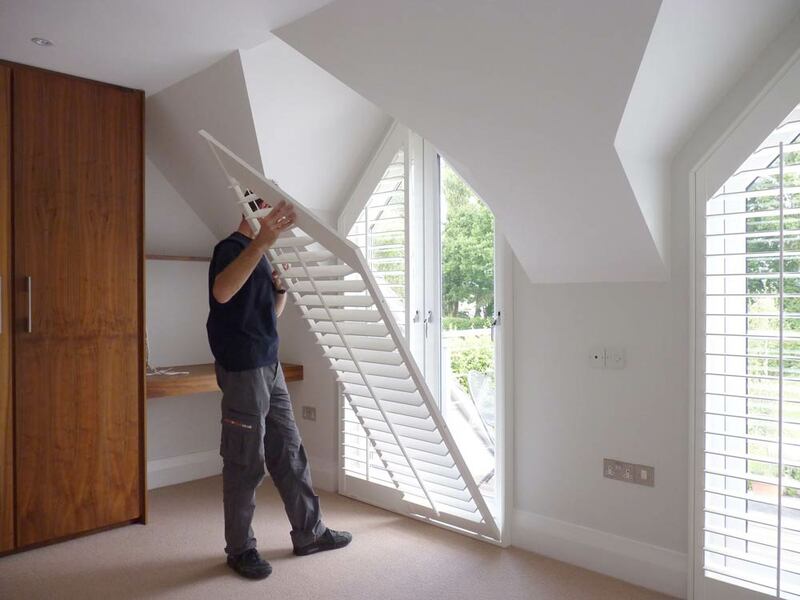 Shutters can also be folded downwards when using horizontal T-posts.